Last Tuesday on July 10th, Celis Brewery celebrated the one-year anniversary of its reopening with huge celebration festivities to accompany its weekly trivia night, aptly named Quiz, organized by D and E entertainment! The venue was originally opened in 1992 but was dormant for over a decade; Celis Brewery had been re-opened last year by Christine Celis, who is the daughter of the founder and former brewer, Pierre Celis. And thank goodness for that! Since the reopening, the location has become a fond favorite among locals and visitors alike. With a massive turnout of eighteen teams, it was guaranteed to be a fun night. Good spirits were all around as teams enjoyed the brewery’s famous drinks. In honor of the venue’s celebrations, the trivia night’s video round tested the teams on their brew making skills, with questions on the process of making beer. Surprisingly, our first round on clay trivia was the highest scoring round on average between the teams. On the other hand, our lowest scoring round was round three, with teams trying to guess the name of actors based on the keywords of their acting history. The music round was incredible – with a team accidentally mixing up the name of the iconic band Aerosmith’ with Armageddon’! The correct answer was of course ‘I don’t want to miss a thing’, music from the movie Armageddon 😉 Congratulations to our winning team, I’ve Got a Thinking and Drinking Problem who won with a massive score lead of 10 and racking up a massive 86 points in total. This team has been longstanding regulars who we’re proud to see win. A second and third place was close with only a point between them, good job to Second Place (no, the second-place team name was second place!) and third place went to I Can’t Say That Out Loud, who got 76 and 75 points respectively. A massive thank you to all the people who came and supported the celebrations at Celis. The people at Celis pulled all the stops for this big one-year anniversary. There was free food aplenty and live music. The brewery also revealed some new of its fresh new brews, offering samples to those in attendance at the trivia night. All the drinks are incredible – if you’re ever in Austin, it’s worth checking out. There were also lots of goodies up for grabs. The Quiz teams also got to enjoy the tastes and flavors of Garbo’s food truck, with a gourmet range of foods at affordable prices. The consensus from the trivia attendees was the lobster roll, and we are pleased to say that Garbo’s will be making a regular appearance at Quiz in Celis Brewery for every session in the rest of July! All in all, it was an incredible night. Thank you once again to all the individuals who participated in the trivia event. And of course, we are indebted to the wonderful team at Celis Brewery for hosting Quiz, our weekly trivia night. The drinks, food, band music, and people were all amazing. We hope to keep up this tradition going for many months and years to come. If you want to join in on the fun and games at Quiz, then you can find us at Celis Brewery on 10001 Metric Blvd, Austin TX, 758758 and our weekly sessions are at Tuesday, 7 pm. Lastly, a special thanks to our sponsor, Electric-biking.com, proudly bringing electric bikes for prizes to the next trivia event near you!. 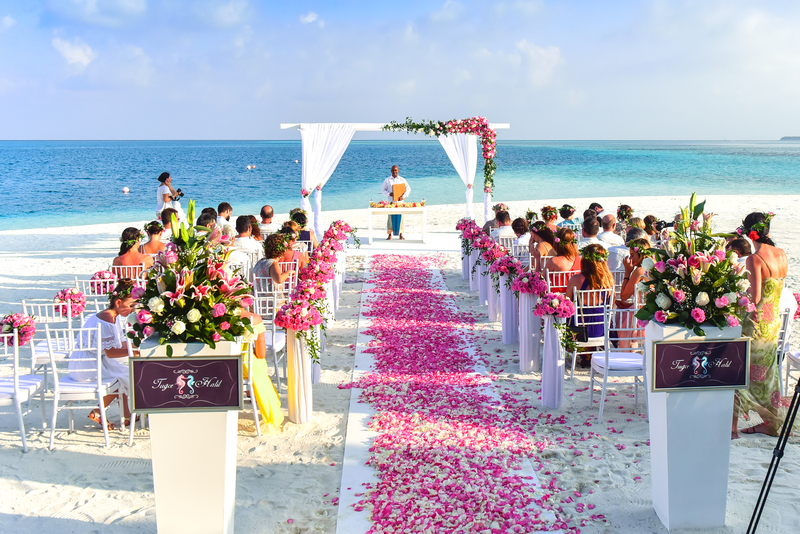 When you are planning your wedding you will want to make sure that it is a day that no one will forget. This is why an increasing number of people are coming up with different events that form part of their wedding reception. One idea that is becoming very popular is having a trivia night and there are a number of options that you have available to you with this kind of entertainment. The questions that are asked on the night could test how well the guests know the bride and groom. There could be questions about the couple themselves as well as ones about their relationship such as where they met. The bride and groom could provide the answers to these questions before the reception and then the answers will be revealed on the night. Another option is to have a general knowledge quiz that everyone can participate in. Some popular subjects to include in this sort of night include sport, music and films. This kind of quiz is one that gets everyone talking because there will be people in every team that have different specialties in terms of knowledge and so it will be a real team effort. When you are planning your trivia night you will need to decide whether this is something you want to organize yourself or if you are going to hire a professional company. The advantage of doing it yourself is that you will save money. However there are a number of disadvantages to planning your own trivia night which make hiring a trivia entertainment company a better choice. Weddings take a lot of planning and there will be plenty of other aspects of the day that require your attention. Leaving the trivia night to the experts means that there is one less thing for you to worry about. If you have ever been to a trivia night before then you will know how much fun they can be. It is something that everyone can get involved in and something that they will all enjoy. You can choose to have several rounds played across the course of the evening or just set aside an hour where everyone will be playing. This is another thing that makes a trivia night such a good choice, as it can be very flexible to fit in with the rest of the evening. Contact D and E now to have us make the wedding of your dreams. Your company benefits when your employees work better together. Getting to know each other in an open, honest environment helps with this. Your bottom line improves when everyone in all departments works better together. Regular team building activities help with this. As business evolved, so have the theories behind it. Antiquated management theory encouraged a competitive workplace, while current management theory encourages a collaborative workplace. You might not think of trivia as a team building exercise, but it offers all the needed elements of a great team building exercise, plus one other important benefit. Everyone can play. Some popular team building activities like scavenger hunts or ropes courses limit or preclude individuals with disabilities. Although most professional ropes courses offer ADA accommodation, the employee may still feel singled out. That isn’t conducive to team building. Trivia nights let you get to know each other. Games like Trivial Pursuit provide multiple categories with at least one that suits every interest from film to history to sports. You can even add an extra category that includes company related trivia. Eventually, you might hold an entire game night around company trivia. Form trivia teams to encourage collaboration. Rather than competing against one another, participants view each other as collaborative teammates. You can also play trivia games that enable everyone to get to know each other better. These include the Elimination game and Two Truths and a Lie. In Elimination, everyone forms a circle. A moderator reads a piece of trivia true about at least one participant, for example, “I was born during winter.” Only the participants the fact applies to remain in the circle. Everyone learns trivia about one another. Play multiple rounds so you still learn something about the people eliminated during the first question. In Two Truths and a Lie, when it’s their turn, each person tells two truths and a lie about themselves. The other players must guess which statement is the lie. You can easily team build using trivia nights. The many benefits of doing a trivia night with your coworkers as a teambuilding activity help everyone involved. Your employees benefit by building self-confidence, getting to know each other better and forming collaborative networks. You benefit by improving employee performance which means improved productivity and increased collaboration, You can foster all that in a few well-organized trivia nights with pizza included, of course. Read more about our corporate events now. With the rise of trivia apps, you might think that live trivia events were a bit passé. I’m here to tell you that they’re still here and popular as ever. Maybe even more popular thanks to the increased appetite for trivia. These are the top four reasons that live trivia nights are still relevant — even in the digital age. Holding trivia nights has proved to be an interesting tactic to drive business, particularly during the midweek. Why do businesses love trivia nights so much? Another huge attraction is that live trivia nights is that they can be tailored to specific venues.Have a sports bar? It’s simple to gather sports themed questions to engage your guests. Or pair your Karoke night with music trivia. The possibilities are endless. Trivia nights combine the excitement of a party, the learning experience of Jeopardy, and the competitive thrill of a video game, all in one. That’s why they make the perfect backdrop for parties, fundraisers, and corporate events. Best of all, you can match trivia to any occasion or industry. Online trivia is lacking in a critical area: human interaction. Yes, you might be able to exchange a few words with an opponent on a trivia app, but that can’t compare to the genuine human connections and camaraderie that trivia nights allow for. With our lives being increasingly consumed by digital devices, people are looking for more opportunities to interact with real people in the flesh. That’s where trivia nights come in. Ask yourself, when’s the last time someone made a friend on a trivia app? Nothing beats the atmosphere of a packed venue filled with people having fun. And it’s easy to enhance the ambiance of your trivia event with themed decorations and costumes. It’s all part of creating an unforgettable experience for your guest. Trivia fans are absolutely begging for live events: Tapping answers into a phone just doesn’t have the same allure. So, despite what you may have heard, live trivia events are alive and kicking in the age of the internet. Start planning your trivia event right now. Or better yet, let D and E Entertainment set you up with an incredible “trivia party in a box”— we guarantee you’ll have a good time!